In this article, we will explain to you the complete selection process for the recruitment of Constable in the Kerala Police. We will also reveal you all details of Kerala Police Constable Physical. If you want to be selected as a constable in the police department, first you have to appear for the physical test. Once you qualified the written test, you will be eligible to appear for the physical test. Kerala Police Constable 2019 Physical date will soon be revealed. It will soon be available to aspirants. They have been waiting for it for so many days. We are hoping it to be declared in the next few days. Kerala Police Constable Physical 2019 will be held in the next month. Thousands of candidates have applied for the posts of Constable in Kerala Police. Here, we will provide you all information about this recruitment. We are informing you that Kerala Police Physical will be held in the next few days. You will get to know the exact date for it very soon. The aspirants just have to wait for a few more weeks as official notification is expected in the 2nd week of next month. Soon official Kerala Police 2019 Physical Date will be available to aspirants. 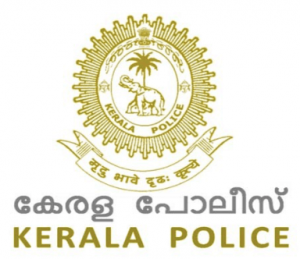 You have to read the entire post if you want to gather all related information about the Kerala Police PET/PMT 2019. Latest News (13 April 2019): The written exam result has been declared. The successful candidates will have to appear for the Physical Measurement Test & Physical Efficiency Test. In this article, we have covered all the details regarding the physical test. If you still want to ask anything related to it, let us know through the comments section. All candidates want to know the selection process for the above posts. The aspirants need not to be worried about it as we will share the selection process in this section. Note:- Height and chest measurement shall be 160 cm and 76 cm respectively for candidates belonging to Scheduled Caste and Scheduled Tribe communities. The minimum chest expansion of 05 cm shall, however, will be applicable for them also. Eye Sight-: Must be certified to possess the visual standards specified below without glasses. Each eye must have a full field of vision. Colour blindness, squint or any morbid conditions of the eye or lids of either eye will be deemed to be a disqualification. Must be free from apparent physical defects like knock knee, flat foot, varicose vien, bow legs, deformed limbs, irregular and protruding tooth, defective speech and hearing. Note: The candidate must qualify in any five events out of eight events specified below. If you want to check all important details about the Kerala Police Constable Physical, you have to pay a visit to the official website. You will find the link to there in the above paragraph. You just have to follow that link. If any changes will be made in Kerala Constable PST, you will be informed about it. We will update the changes in the next few days itself. If you guys still have any doubt about the Kerala Constable Physical 2019, ask our team. We will surely help you. The candidates who will qualify the PST will then appear for the Physical Efficiency Test. All details regarding this test are available in the above section. We have provided you the list of those events which are a part of this part. So the candidates have clear all these events. My date of physical test is 30 th april. .So on the same day will be both physical measurements and test ..Or on different day?? ?